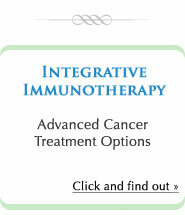 Here you will find options to help maintain, improve and restore your immune functions. Our nutraceuticals, botanicals, glandulars and vitamins fulfill the highest standards of purity and potency, and are especially formulated to optimize absorption while preserving the integrity of the intestinal tract. Issels Treatment Centers to maintain consistency in product quality for their supplement needs during the intensive treatment as well as for the home care program. 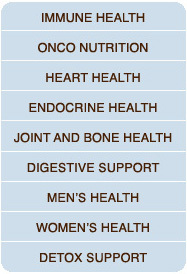 We are committed to helping all our customers obtain the best formulas according to specific medical and nutritional requirements, backed by our high level of service and support. We are here to assist you.